We firmly believe that it is in the best interest of all children to grow up in a stable and loving home environment. The establishment of our day care centres was based upon this ideal; services must be available in the communities for children with disabilities. When mainstream schools and day care centres do not or cannot accommodate children with disabilities, parents have little choice but to apply for their children’s admission to residential facilities. They do this so that their children can receive therapy, but also to free themselves from the daily care their children need, enabling them to seek employment and provide for other members of their families. Our day care centres provide ideal solutions for all the above challenges. Children with disabilities attend our centres on a daily basis, from Monday to Friday. In addition to receiving two nutritious meals a day, they also participate in various developmental and educational activities, so that they can reach their full potential. The parents, often single mothers, knowing that their children are in safe and capable hands, can venture out and find a job or study further, building a better future for themselves and their families. 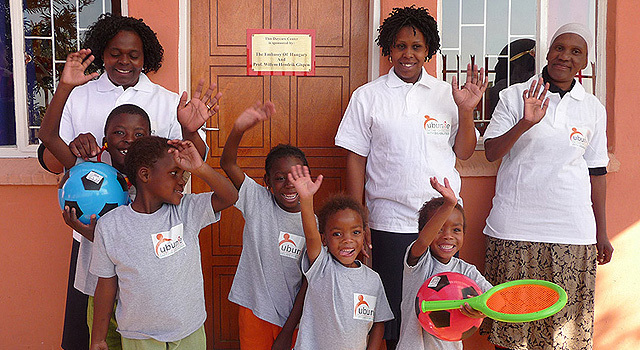 We currently operate three daycare centres in the townships surrounding Sizanani Village. Our first centre was established in 2008 in Rethabiseng, sponsored by Prof. dr. Willem Hendrik Gispen, the former rector of the Utrecht University (NL), and the Foreign Affairs Ministry of Hungary. Our second centre opened in Zithobeni in 2010 and the third in Ekangala in 2011. The construction of both centres was funded by the Eureko Achmea Foundation (NL), while we have also received funding from the Stichting Bijzondere Gezondheidszorg (NL) to build our fourth centre, which is set to open in Dark City in 2013. In the meantime, we have succeeded in getting accreditation and licensing for the centres by the Gauteng Provincial Department of Health; our operational costs are now partly covered by subsidies. The three centres combined currently care for over 40 children and youth with physical and intellectual disabilities, with an age range of 2-21 years. A very special thanks to Prof. dr. Adri Vermeer, who put us in touch with potential donors and who has been working tirelessly for our cause for over a decade.